These August-September drop Poll Dorset cross lambs sold for $146.50 at Gundagai, NSW, on AuctionsPlus last week. RESTOCKER and prime lambs met strong competition on AuctionsPlus last week, with the national lamb and 14th Annual North East Victorian lamb sales swelling the online offering. Overall AuctionsPlus sheep and lamb numbers jumped by 14,746 head to 98,196 last week, with most of the increase coming from Victoria. Victoria’s online sheep and lamb listings rose about 19,000 to 36,009, while NSW’s offering dropped 8804 to 44,462. South Australia offered 12,689 sheep and lambs, up 2308. Online offerings dropped in Queensland by 121 ro 3463 and in Tasmania, by 1579 to 1573. Numbers were boosted by the 13,001 head in the 14th Annual North East Victorian Lamb, Backgrounder and Finisher Sale, which achieved a 95 percent clearance. The sale’s top price of $144 was paid for 200 July/August drop score 3 unshorn Composite wether suckers at Alexandra in Victoria that weighed 43kgs liveweight. Poll Dorset cross lambs sold from $105 to $140.50, averaging $124. White Suffolk cross lambs averaged $114 and sold from $103 to $125. The top price of $146.50 in the national lambs sale was paid for 255 August/September drop score 3 Poll Dorset cross lambs weighing 42kg lwt at Gundagai in New South Wales. AuctionsPlus cleared 74pc of the sheep offered last week, with young first cross ewes selling to $283.50 and Merino ewe hoggets making to $250. At Cowra in NSW, 280 1-2 year-old early November shorn first cross ewes with 380 2-4 month-old Poll Dorset lambs sold for $325. The ewes weighed 52.7kgs and the lambs were estimated to average 24kgs. First cross ewe lambs also varied significantly in price, from $116 to $226, and averaged $154. The top price was paid for 225 August/September drop early July shorn score 4 ewe lambs weighing 54.8kg. First cross ewes averaged $230 and sold from $170 to $283.50. The top price was paid for 262 1.5 year-old late August shorn ewes at Edenhope in Victoria that weighed 68.7kg and were mostly score 4 in condition. Merino ewes varied significantly in price, from $70.50 to $250, and averaged $135. The top price was paid for 441 15-16 month-old late October shorn Poll Merino ewes weighing 50kgs and mostly score 3 in condition, at Young in NSW. A line of 250 2 year-old early November shorn Merino ewes, weighing 68kg and score 2 in condition, sold for $216 at Bordertown in South Australia. A line of 160 April-June drop Merino ewe lambs at Wickliffe in Victoria made $150. They weigh weighed 43.5kg and were mostly score 2 in condition. 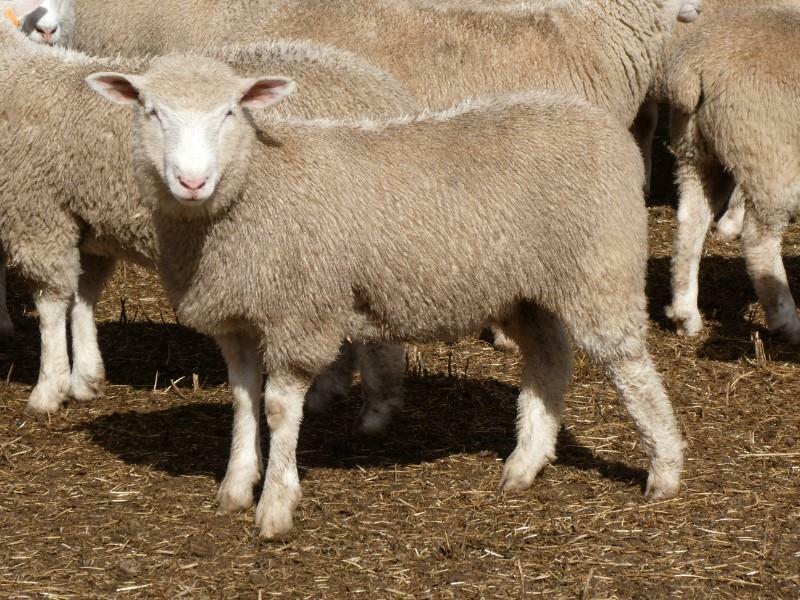 Merino wether lambs last week averaged $79 online, selling from $52.50 to $123. The top price was paid for 150 April-June drop Merino wether lambs weighing 45kg lwt at Wickliffe in Victoria. Merino wethers sold from $75.50 to $111, averaging $96, down $3 from last week. The top price was paid for 471 4-5 year-old early November shorn wethers at Campbell Town, Tasmania. They weighed 72.6kgs and were mostly score 3-4. Other highlights amongst crossbred ewes included 87 NSM Highlander/Composite ewes at Wernethin Victoria that sold for $260. The 16-17 month-old ewes weighed 75kgs. At Neilrex in NSW, a line of 2nd cross 1-2 year-old Australian White ewes weighing 61kg sold for $192. A line of 345 Dorper future breeder ewe lambs that sold for $90 at Cunnamulla in Queensland went to a Victorian buyer in Mildura, 1100km to the south.